Anyone who uses the M7 will be well aware of how busy it can get. 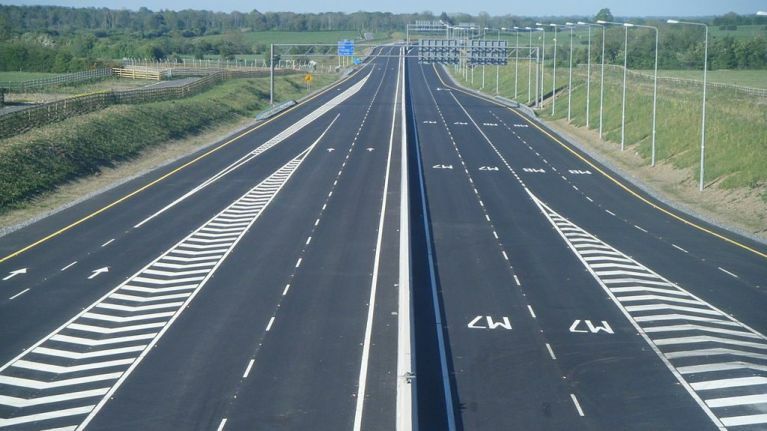 An Garda Síochána has alerted the public to another round of disruptions on the M7 road this week as part of the roadworks underway. As part of the M7 upgrade works to facilitate the construction of a new over-bridge in Naas, Co Kildare, new bridge beams will be installed this weekend above the motorway. The works will commence from tomorrow (Friday 12 April) beginning at 9pm on the eastbound carriageway, and 10pm on the westbound carriageway to facilitate these temporary arrangements. It is expected that traffic will be diverted in slip roads from that point until early on Sunday morning (14 April). According to a statement from the Gardaí: "In order to safely carry out these works and maintain M7 mainline traffic in both directions, traffic will be directed around the area of works via the newly constructed off/on slips of the new interchange. (Same Route Used for Bridge Demolition on the 29th, 30th and 31st March last)." At the end of March, traffic was diverted while the old bridge was demolished, in a process that was finished ahead of schedule. In this case, a reduced speed limit was also enforced. You can read the Garda warning in full below.